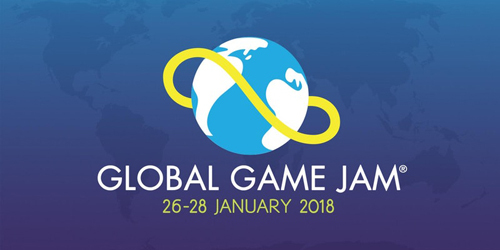 Global Game Jam at Farset is back again in 2018, with support from Northern Ireland Screen. The Game Jam will run from Friday 26th to Sunday 28th January 2018, and is a chance to meet some great people and develop a fun game in a weekend. With a party atmosphere from Friday night, there will be plenty of people there to team up with, create something interesting and, most importantly, to have fun! Please reserve your seat at Farset Labs on Eventbrite by clicking here. Global Game Jam is always very popular; so to avoid disappointment, book early. Tickets this year are £5 each – buying a ticket will reserve your seat for the weekend as well as helping provide you with catered meals for the full weekend and a unique GGJ Belfast t-shirt! The game jam’s theme will be announced at 5pm on Friday 26th January so we recommend all participants to be in Farset before that time, or send word if you will be arriving later on. More information will be provided in the run-up, but please feel free to contact [email protected] or ask us questions via Facebook or Twitter with the #farsetggj18 hashtag.